When Jake Sullivan’s family inherits a riding academy in Brooklyn, NY, they think their prayers have been answered. Unfortunately, the will stipulates they must run the business for one year or any money made off its sale will go to another. 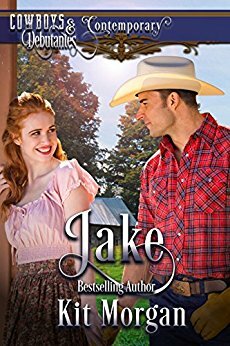 Jake, knowing his family needs the money, volunteers to go back east to find out all he can about their new found business, and finds something else entirely. Enjoy this first book in the Contemporary versions of Cowboys and Debutantes! Clean and wholesome sweet stories of West meets East and everything in between!